Could your memory loss be caused by an actual medical condition versus a simple case of forgetfulness? We often attribute memory loss with aging, but there are a number of memory disorders that can be at play. Know the difference and make sure that if you are experiencing any type of memory loss that you get checked out by your doctor. This article examines 5 diseases that affect memory loss. Dementia, in and of itself is not a disease, but rather a term used to describe a host of diseases that affect memory loss. However, for our purposes here we will separate Alzheimer’s and Dementia with the term dementia referring to vascular dementia. In addition to a loss of memory and impaired cognition there can also be a loss of physical coordination. The symptoms are directly indicative of the part of the brain that is affected by a loss of nerve cells or more commonly referred to as atrophy of the brain. “Vascular dementia is the second most common form of dementia after Alzheimer’s disease. It is caused by problems in the supply of blood to the brain.” (Alzheimer’s Society, 2014). periods of severe (acute) confusion. via What Is Vascular Dementia? A lot of research is still needed to understand the relationship between Parkinson’s disease and memory. Recently a team of research in Finland found that “free recall memory deficits common even in early stages of Parkinson’s disease are related to structural changes in the brain, specifically parietal cortical gray matter volume” (IOS Press, 2014). Every single person at some point and time may feel depressed. Most often this is brought on by challenges or hardships in ones life rather than an association to diseases that affect memory loss. However, they are usually able to get through this time quite easily whereas someone who has clinical depression is not. They have changes that occur in the brain, behaviors that directly impact their daily functioning that occur for a prolonged period of time. Depression is extremely common and affects millions of people around the world. Depressive illnesses are disorders of the brain. 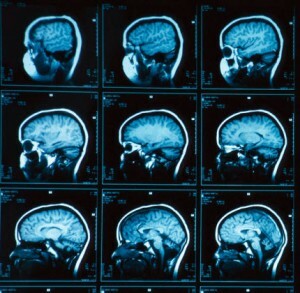 Brain-imaging technologies, such as magnetic resonance imaging (MRI), have shown that the brains of people who have depression look different than those of people without depression. The parts of the brain involved in mood, thinking, sleep, appetite, and behavior appear different. But these images do not reveal why the depression has occurred. They also cannot be used to diagnose depression.via What Is Depression? Depression is frequently associated with memory problems, most likely because depression arises from abnormal functioning of brain areas that are also very important for memory. It’s not uncommon for mild memory problems to persist for a while after people have otherwise responded to treatment and are doing better. As you intimate, medications also can adversely affect memory, especially in older people, but this is less likely in your husband’s case because his memory has deteriorated without medication changes. via Can Depression Cause Memory Loss? Many people do not understand the complexity and prevalence of celiac disease. Often confused with a wheat tolerance or allergy, which could not be further from the truth. Celiac disease is an autoimmune disease whereby the body confuses the gluten protein as a threat and begins to engage in combat. Celiac disease, or more specifically gluten, can cause depression, anxiety, and even brain disorders. As well, as making the individual more susceptible to a host of other medical conditions. Both individuals with celiac disease and gluten sensitivity may be prone to gluten related memory loss. The intestinal wall become porous allowing “undigested food, toxins and bacteria into the bloodstream where they trigger inflammation throughout the body and brain…also, certain harmful bacteria that travel through a leaky gut into the bloodstream release toxic molecules (lipopolysaccharides) that are linked to depression and various psychiatric disorders” (Herbold, 2014).